cci.org | Do you "speak" dog? SANTA ROSA, California—Ever wonder what your furry friend is thinking or feeling? Maybe nine times out of ten your dog is just looking for a snuggle, but how do you know? Canine Companions for Independence® speaks dog fluently after 43 years of training highly-skilled assistance dogs, and now you can test your canine communication skills and show off to your friends. Will you be a dog whisperer? Canine Companions’ eight question quiz can help you understand dog more clearly using body language and some adorable photos of Canine Companions puppies and assistance dogs. Why have one-sided conversations with your best friend when you could be “speaking” about so much more? Challenge your friends and family to a canine communication celebration, and don’t forget to share your score (and bragging rights) on social media. Canine Companions for Independence has provided expertly-trained assistance dogs and a lifetime of follow up services free of charge since 1975. Canine Companions has placed more than 5,800 assistance dogs with people with disabilities. 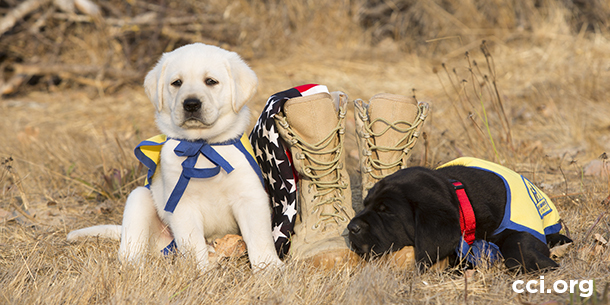 Trained in over 40 commands to enhance independence for children, adults and veterans with disabilities, Canine Companions assistance dogs turn on lights, retrieve dropped items and so much more. Put your canine communication prowess to the test today at cci.org/speakdog. Want to learn more? 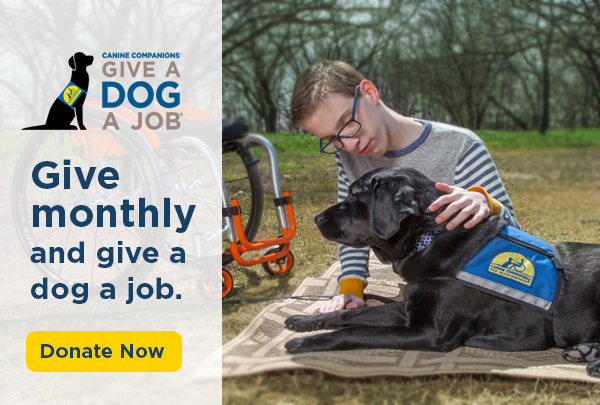 You can Give a Dog a Job® by visiting cci.org.